- Combine with promotional activities- direct the way to a location selling a specific brand/product. - Messaging can be live or pre-programmed. 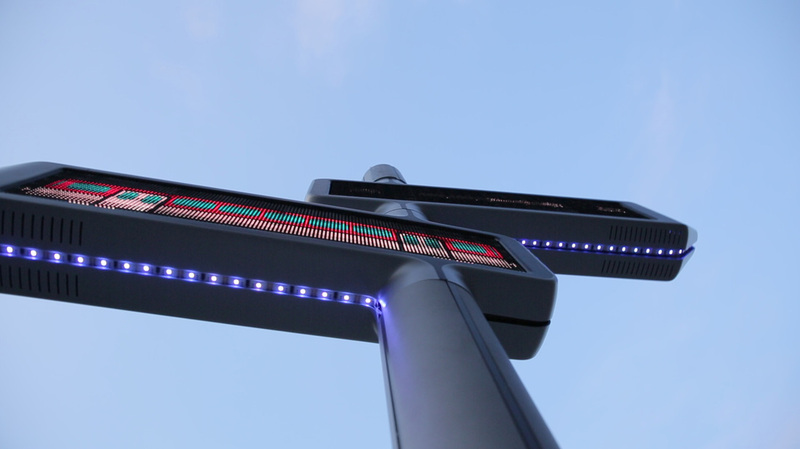 DigiVane features 2 doubled sided LED directional arrows that display different messages- text, logo and animation.